A Transition to Advanced Mathematics: A Survey Course - Companion site to book of same name by William Johnston and Alex M. McAllister, helping students transition from courses in the calculus sequence (and other problem solving courses that involve mathematical calculations) to theoretical upper-level mathematics courses (that prove theorems and grapple with mathematical abstractions). Abacus - The art of calculating with beads. American Mathematical Society (AMS) - Mathematics research and scholarship. Also see AMS Journals. An Intuitive Explanation of Bayes' Theorem - Bayes' Theorem for the curious and bewildered; an excruciatingly gentle introduction by Eliezer Yudkowsky. Annals of Mathematics - Published bimonthly with the cooperation of Princeton University and the Institute for Advanced Study. Founded in 1884 by Ormond Stone of the University of Virginia. Applied Mathematics E-Notes - An international electronic journal of mathematics. Archimedes - Nova sciences series examines Archimedes' ideas of the infinite found in an ancient manuscript. Archimedes is called the "father of integral calculus." Archimedes' Lab - Geometric puzzle site. arXiv.org e-Print Archive - Los Alamos National Laboratory e-print archive. Open access to over 742,000 e-prints in physics, mathematics, computer science, quantitative biology, quantitative finance and statistics. Ask Dr. Math - A question and answer service for math students and their teachers. Beal Prize - Funded by Andrew Beal, a prominent banker who is also a mathematics enthusiast. An AMS-appointed committee will award this prize for either a proof of, or a counterexample to, the Beal Conjecture published in a refereed and respected mathematics publication. Brief History of Mechanical Calculators - The purpose of this site is to briefly describe the most common non-electronic calculating devices in an historical context and to create a resource of additional references. The journey starts 2500 years ago with the abacus, and ends 30 years ago with the introduction of the first electronic calculators. Clarifying Percentages vs. Percentage Points - Describes the difference between measuring using percentages versus measuring using percentage points. Clay Mathematics Institute - Best known for the seven Millennium Prize Problems announced at the College de France in Paris in June of 2000. The prizes were established by CMI to (i) recognize some of the arguably most difficult problems with which mathematicians were struggling at the turn of the millennium, (ii) to underline the importance of working on the really hard problems, and (iii) to spread the news that in mathematics hard, significant problems still abound - the frontiers of knowledge are still wide open. Cornell University Historical Math Monographs - Collection consists of 456 general monographs, 42 Cornell dissertations, 576 math books, and 691 New York State historical pamphlets and monographs. Devlin's Angle - Mathematician Keith Devlin's blog. Devlin is the Executive Director of the Human-Sciences and Technologies Advanced Research Institute (H-STAR) at Stanford University and The Math Guy on NPR's Weekend Edition. Electronic Mathematical Archiving Network Initiative (EMANI) - Provides long term preservation and access to mathematics literature. English Name of a Number - Provides English name equivalents for very large numbers as well as additional information on prime numbers, Mersenne primes, perfect numbers and so on. Erdos Number Project - A source of information for research mathematicians and others interested in the phenomenon of collaboration in mathematical research. Also see Wikipedia entry on Erdos-Bacon Number. Ethnomathematics Digital Library (EDL) - A resource network and interactive learning community for ethnomathematics, with emphasis on the indigenous mathematics of the Pacific region. Euclid's Elements - Euclid's elements form one of the most beautiful and influential works of science. Its beauty lies in its logical development of geometry and other branches of mathematics. It has influenced all branches of science but none so much as mathematics and the exact sciences. The elements have been studied 24 centuries in many languages starting, of course, in the original Greek, then in Arabic, Latin, and many modern languages. The text of all 13 books is found here. European Mathematics Society (EMS) - The purpose of the Society is to further the development of all aspects of mathematics in the countries of Europe. 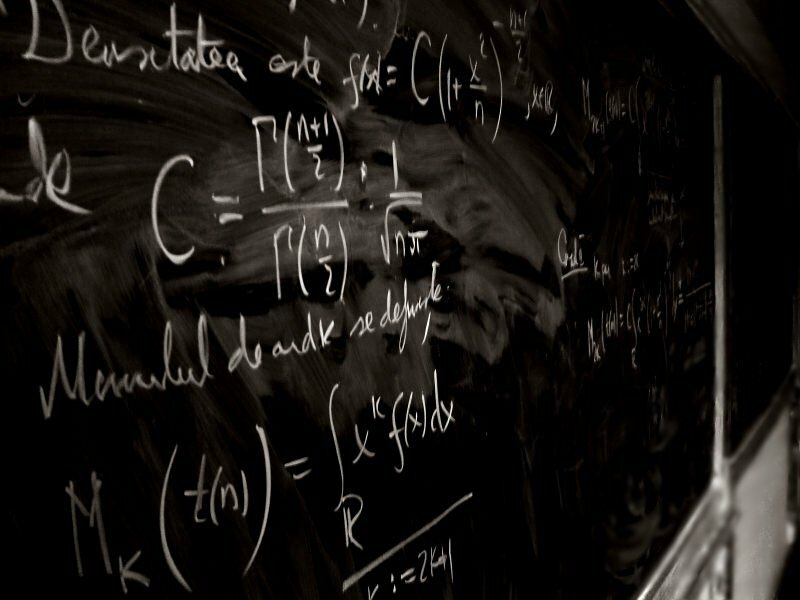 Fermat's Last Theorem - The mathematics of Fermat's Last Theorem. Fields Medal - Awarded every four years on the occasion of the International Congress of Mathematicians to recognize outstanding mathematical achievement for existing work and for the promise of future achievement. Also see Wikipedia. Game Theory - Provides resource material to educators and students of game theory and its applications to economics, business, political science, computer science, and other disciplines. Geometry - Yahoo! search return for Mathematics/Geometry query. Geometry Center - Center for the compilation and visualization of geometric structures. Geometry Junkyard - These pages contain usenet clippings, web pointers, lecture notes, research excerpts, papers, abstracts, programs, problems, and other material related to discrete and computational geometry. History - Yahoo! search return for Mathematics/History query. History of Mathematics - Provides more than 1300 biographies of mathematicians, 30 articles on the history of various topics in mathematics, famous curves index, and more. Inexplicable Secrets of Creation - Number theory and physics archive, mysterious occurences on the interface of physics and number theory, introductory prime number theory resources, and related curiosities. Interactive Mathematics Miscellany and Puzzles - Mathematics, language, data dictionary, problem solving, puzzles, mathematics education. International Journal of Mathematics (IJM) - Publishes original papers in mathematics. International Mathematical Olympiad (IMO) - The first International Mathematical Olympiad (IMO) was held in 1959 in Romania. It was originally intended for Eastern Bloc countries only, but since then the list of participating countries has grown to over 80 from all over the world. The site of the competition changes each year, and past locations include such diverse venues as Finland, India, Cuba, Argentina, and Bulgaria. International System of Units from NIST - A brief summary of the SI, the modern metric system of measurement. Long the language universally used in science, the SI has become the dominant language of international commerce and trade. These "essentials" are adapted from NIST Special Publication 811 (SP 811), prepared by B. N. Taylor and entitled Guide for the Use of the International System of Units (SI), and NIST Special Publication 330 (SP 330), edited by B. N. Taylor and entitled The International System of Units (SI). K-theory Preprint Archives - University of Illinois at Urbana-Champaign Department of Mathematics archive of current and previous preprints dealing with K-Theory. Also see Wikipeida article on K-theory. MacTutor History of Mathematics Archive - Biographies of mathematicians. MassSpectator Online Calculator - A mathematical method that locates and calculates the area beneath peaks from mass spectra using only reproducible mathematical operations and no user-selected parameters. Math Archives - Mathematics links organized by topic or searchable by keyword. Math for Journalists - Covers percent change, average/mean, and median. Math Forum - A leading center for mathematics and mathematics education on the Internet. The Math Forum's mission is to provide resources, materials, activities, person-to-person interactions, and educational products and services that enrich and support teaching and learning in an increasingly technological world. Math Forum Internet Mathematics Library - Resource for teachers, students and parents looking for web sites across the Internet on math topics. MathDL - Features include: Loci, an MAA math publication; Math in the News, This Day in Math, and Course Communities in Undergraduate Mathematics. Hands-on Start to Mathematica - Mathematica tutorial videos to get you started: notebooks, basic calculations, graphics, interactive models, using data, presentations. Help & Learning Resources for Wolfram Products - Wolfram product resources for new and expert users: documentation, tutorials, examples, training, forums, books, and technical and customer support contacts. Mathematica Resources - Collection of anything Mathematica users may need: videos, tutorials, books, documentation, demos, training, forums, free seminars, educational materials, and more. Mathematica Stack Exchange - A question and answer site for users of Mathematica. Wolfram Demonstrations Project - Conceived by Mathematica creator and scientist Stephen Wolfram as a way to bring computational exploration to the widest possible audience, the Wolfram Demonstrations Project is an open-code resource that uses dynamic computation to illuminate concepts in science, technology, mathematics, art, finance, and a remarkable range of other fields. Wolfram Language - The Wolfram Language represents a major advance in programming languages that makes leading-edge computation accessible to everyone. This book provides an elementary introduction to the Wolfram Language and modern computational thinking. It assumes no prior knowledge of programming, and is suitable for both technical and non-technical college and high-school students, as well as anyone with an interest in the latest technology and its practical application. Wolfram Mathematica Documentation Center - Learn how to use Mathematica with the definitive guide: 10,000 pages with Mathematica functions and tutorials and more than 100,000 Mathematica examples. Wolfram Quick Answers - Find help with ordering, installation, activation, and more. Mathematical Association of America (MAA) - Major focus on the teaching of mathematics at the collegiate level. Mathematical Atlas - A gateway to modern mathematics. Mathematical Physics Preprint Archive - Electronic archive for research papers in mathematical physics and related areas. Mathematical Sciences Research Institute (MSRI) - Browse MSRI Math Lectures. MSRI exists to further mathematical research through broadly based programs in the mathematical sciences and closely related activities. Mathematics by Classifications - Links to electronic journals, preprints, Web sites and pages, databases and other pertinent material. Mathematics Websites Around the World - Mathematics departments' servers around the world organized by country. MathSciNet - Searchable database of reviews, abstracts and bibliographic information for mathematical sciences literature. Over 100,000 new items are added each year. Mathworld - Extensive mathematical resources provided by Wolfram Research, makers of Mathematica. Mean, Median, Mode, and Range - Meaning and examples. MegaPenny Project - Visualizing huge numbers utilizing the U.S. penny, and building on that to answer questions like: "What would a billion (or a trillion) pennies look like? " Metric System - An overview: Used in nearly every country in the world the metric system was devised by French scientists in the late 18th century to replace the chaotic collection of units then in use. The goal of this effort was to produce a system that did not rely on a miscellany of separate standards, and to use the decimal system rather than fractions. 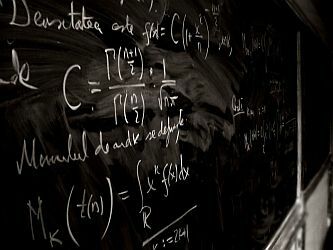 Millenium Prize Problems - In order to celebrate mathematics, the Clay Mathematics Institute of Cambridge, Massachusetts, established seven Prize Problems. The prizes were conceived to record some of the most difficult problems with which mathematicians were grappling at the turn of the second millennium; to elevate in the consciousness of the general public the fact that in mathematics, the frontier is still open and abounds in important unsolved problems; to emphasize the importance of working towards a solution of the deepest, most difficult problems; and to recognize achievement in mathematics of historical magnitude. Museum of Mathematics (MoMath) - Located in Manhatten, New York City, inspiring math exploration and discovery. New Math - Wikipedia: New Mathematics or New Math was a brief, dramatic change in the way mathematics was taught in American grade schools, and to a lesser extent in European countries, during the 1960s. New York Journal of Mathematics - Refereed in the traditional manner, under the direction of our distinguished editorial board. Nick's Mathematical Puzzles - Puzzles presented here are selected for the deceptive simplicity of their statement, or the elegance of their solution. They range over geometry, probability, number theory, algebra, calculus, and logic. On-Line Encyclopedia of Integer Sequences - What comes next after 1, 2, 4, 9, 20, 48, 115, 286, 719? (for example). This is the place to find out. Organizations - Yahoo! search return for Mathematics/Organizations query. PBS Teachers Math - Video clips and lesson plans on different mathematical topics and teaching techniques for grades K-12. Phys.org: Mathematics - Mathematics news channel. Pi - The computation of Pi is virtually the only topic from the most ancient stratum of mathematics that is still of serious interest to modern mathematical research. To pursue this topic as it developed throughout the millennia is to follow a thread through the history of mathematics that winds through geometry, analysis and special functions, numerical analysis, algebra and number theory. Pi History - A chronological history of Pi. Platonic Realms - Mathematics resources for students and instructors. Plus Magazine - Plus provides feature articles which describe applications of maths to real-world problems, games, and puzzles; reviews of popular maths books and events; a news section, showing how recent news stories were often based on some underlying piece of maths that never made it to the newspapers; a puzzle for you to sharpen your wits against; a lucky dip of mathematical curiosities; and opinions on various maths-related topics and news stories. PRIME Mathematics Encyclopedia - Encyclopedia and dictionary of mathematics, with articles, biographies, and translation dictionaries. Prime Pages - Prime number research, records, and resources. Probability Web - A collection of probability resources on the World Wide Web. Riemann Hypothesis (Wikipedia) - In mathematics, the Riemann hypothesis, proposed by Bernhard Riemann (1859), is a conjecture about the location of the zeros of the Riemann zeta function which states that all non-trivial zeros (as defined below) have real part 1/2. The name is also used for some closely related analogues, such as the Riemann hypothesis for curves over finite fields. Riemann Hypothesis (Wolfram MathWorld) - Overview and resources on the Riemann Hypothesis. Riemann Hypothesis (Prime Pages) - Chris K. Caldwell's page on the Riemann Hypothesis. Shodor Education Foundation, Inc. - A non-profit research and education organization dedicated to the advancement of science and math education, specifically through the use of modeling and simulation technologies. S.O.S. Mathematics - Mathematical tables and formulas. Sources of Mathematics Information - Provided by University of Pennsylvania Mathematics Department. This is Mega-Mathematics - Mathematical mind benders from the Los Alamos National Laboratory. Traveling Salesman Problem - The traveling salesman problem, or TSP for short, is this: given a finite number of "cities" along with the cost of travel between each pair of them, find the cheapest way of visiting all the cities and returning to your starting point. In these pages we report on our ongoing project to solve large-scale instances of the TSP. U.S. Metric Association (USMA) - A national non-profit organization, founded in 1916. It advocates U.S. conversion to the International System of Units which is known by the abbreviation SI (also called the modern metric system). Wavelet - Fosters the exchange of knowledge related to the theory and applications of wavelets. What's Special About This Number - Divisors, algebra, primes, sums of powers, powers/polygonal, matrices, graphs, combinatorics, Fibonacci, digits, perfect/amicable, bases, repdigits, geometry. Wolfram Functions Site - Encyclopedic collection of information about mathematical functions. Wolfram Library Archive - Vast electronic library of Mathematica materials, including immediately accessible Mathematica programs, documents, and examples. WWW Virtual Library Mathematics Index - Collection of mathematics-related resources is maintained by the Florida State University Department of Mathematics. zbMath (Zentralblatt MATH) - A comprehensive abstracting and reviewing service in pure and applied mathematics. The coverage starts in 1826 and is complete from 1868 to the present by the integration of the Jahrbuch uber die Fortschritte der Mathematik database. The zbMATH database contains more than 3 million bibliographic entries with reviews or abstracts currently drawn from more than 3,000 journals and serials, and 170,000 books. This webpage last updated on Friday, August 5, 2016 10:09 AM.